This modern classic was created by New York-based bartender Sam Ross. These days, it’s rare to come up with a brand new cocktail that becomes so popular everyone starts putting it on their list, but that’s what’s happened with the Paper Plane. Simple, balanced and delicious. The easy-to-execute Paper Plane is a must-duplicate at home. Photo courtesy Earls.67. I discovered it at the new Earls.67 on Stephen Avenue. It’s a perfect transition drink for fall — the lime and Aperol are bright and sunny, while the bourbon and Amaro hint at cooler days. I also like its simplicity. Like The Last Word and the Negroni, it’s a drink where you mix the ingredients in equal parts; so, it’s almost impossible to mess up — an important consideration if you’re shaking up more than two! Method: Combine ingredients in a cocktail shaker. Add ice and shake vigorously. Fine strain into a coupe glass. 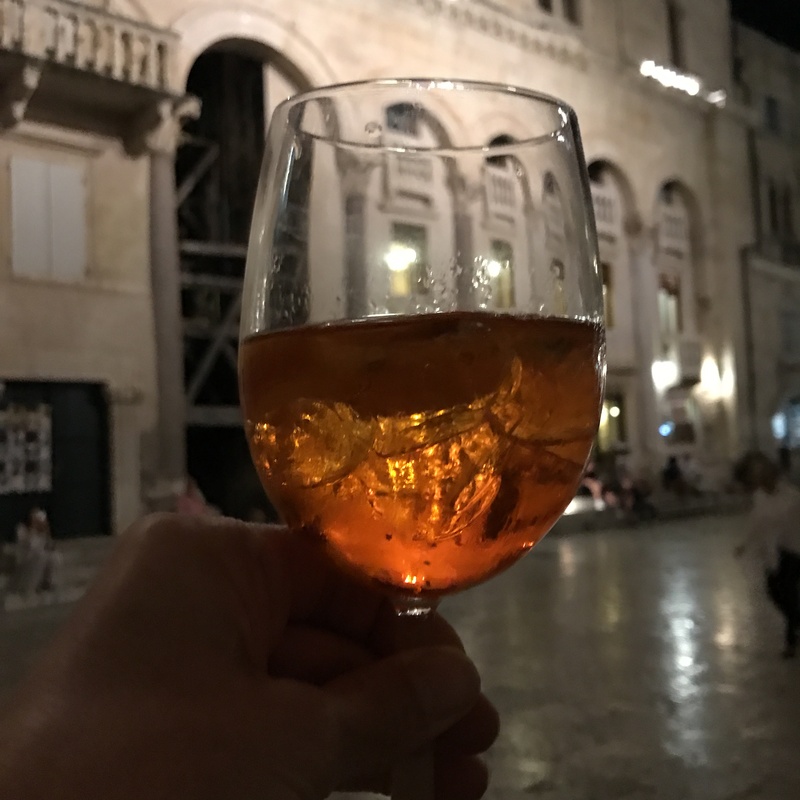 I’ve been enjoying Aperol this summer. 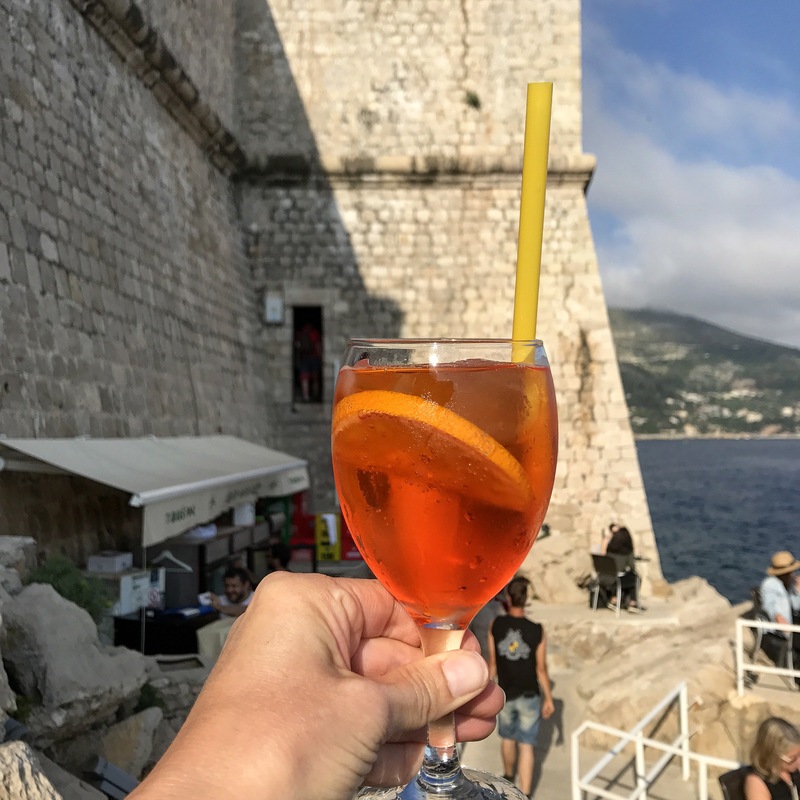 It’s a bitter orange Italian aperitif that is best known in the Aperol Spritz (Aperol floated in Prosecco). Since Aperol is a gorgeous red-orange colour, I thought it would be nice in a cocktail on Canada Day. Last summer Cilantro made the most amazing No. 3 Aperol Sour, which I wrote about for Avenue Magazine. Using that recipe as a guide, I made what I’m calling just an Aperol Sour. It’s light, sweet, tart and slightly bitter, and the most amazing shade of red. Happy Canada Day! Canada Day calls for a red and white cocktail. The Aperol Sour is perfect! Method: In a cocktail shaker combine gin, Aperol, citrus, syrup and egg white. Add ice and shake vigorously for 30 seconds. Strain into a coupe and garnish with Angostura bitters. If you’re a pro, shape them into a maple leaf! 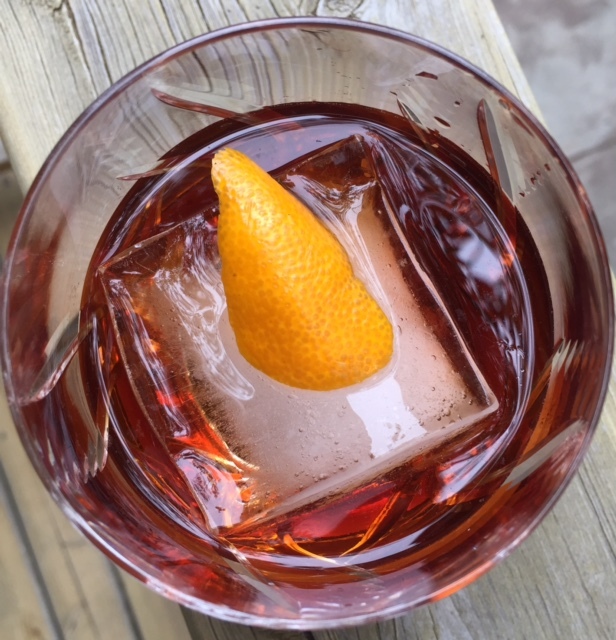 Alas, Negroni week came and went in Calgary and I drank nary a one. 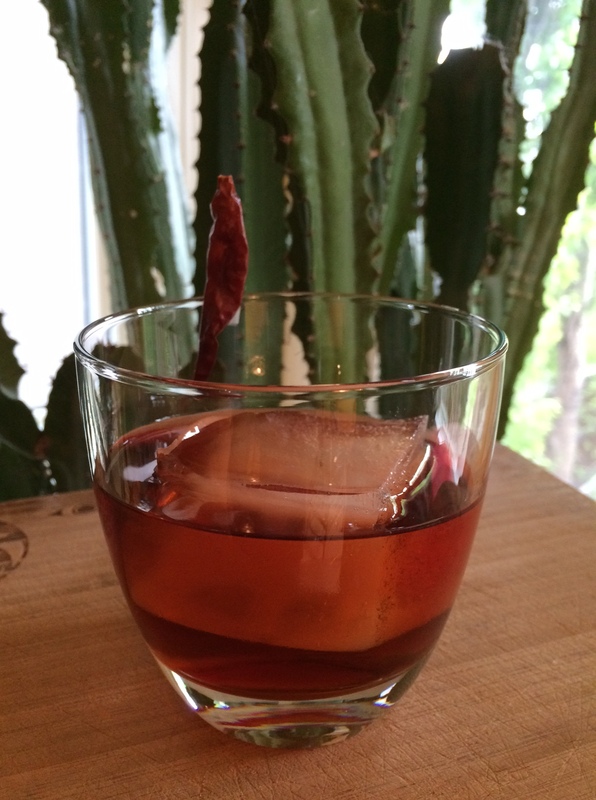 But my success with the Smoky Hot Pepper Negroni earlier this spring inspired me to try a similar recipe with tequila. I used Roca Patron Reposado as a base; it’s a smooth tequila with sweet notes of roasted agave. To that I added a bar spoon of agave nectar for sweetness, then used Aperol, which isn’t quite as bitter as Campari, along with La Quintinye Vermouth Royal. The end result is a spirit-forward cocktail that’s beautifully balanced between bitter, sweet and strong. It’s also super easy to make! My taster/hubby loved it and declared he would like a few this Father’s Day. This Tequila Negroni is spirit forward — perfect for Father’s Day. Method: Combine ingredients in a mixing glass and add ice. Stir until the drink is well chilled, then strain into a rocks glass over a large cube of ice. Garnish with an orange twist. 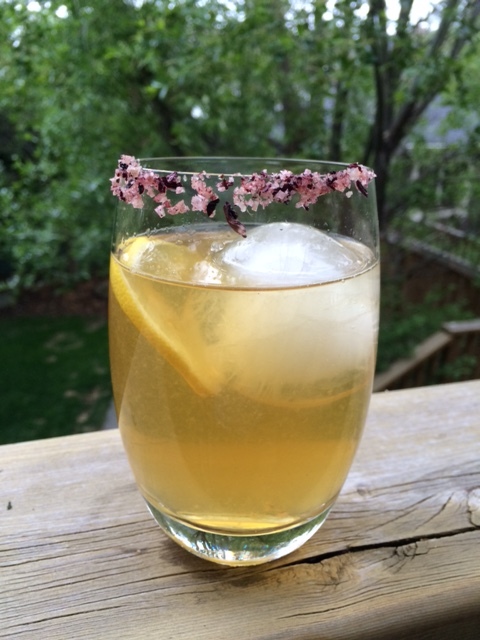 Patio season has officially begun and cocktail lovers are looking for easy and delicious recipes for summer sipping. A huge trend this year is savoury cocktails — balanced drinks that go beyond fruity (and beyond that Canadian savoury stand-by, the Caesar) to incorporate herbal, vegetal, smoky or even salty flavours. 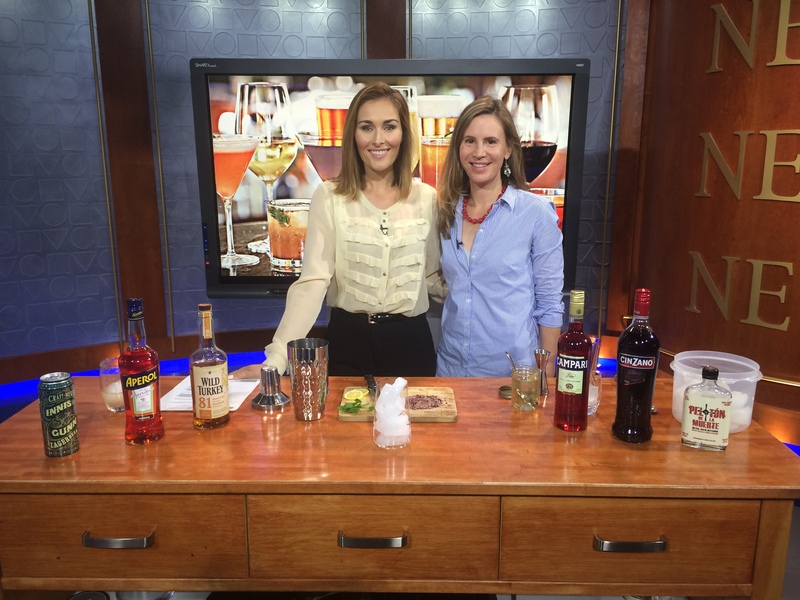 I appeared on CTV Calgary this morning to talk (and make) savoury cocktails that are crowd pleasers and super easy to execute. CTV host Aisling Tomei and I worked our way through a Smoky Hot Pepper Negroni with Campari, Cinzano Rosso and mezcal; a refreshing Amber Road with Aperol and Wild Turkey bourbon; and a beer cocktail featuring Innis & Gunn Lager. Mixing savoury summer cocktails with Aisling Tomei. Her favourite was the Amber Road. Mine? The Smoky Hot Pepper Negroni! I’ve included the recipes below. Enjoy! Description: This savoury sipper is a twist on a classic Negroni, using smoky mezcal instead of gin, and adding a hit of habanero syrup for heat. 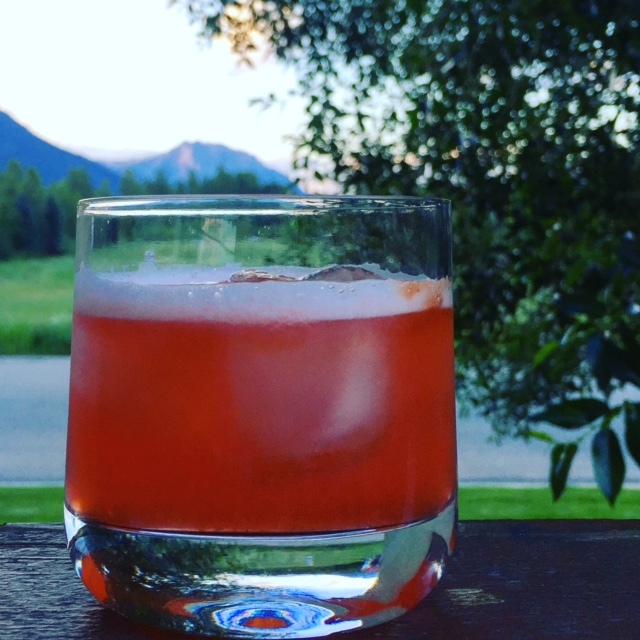 If you don’t want to make your own Negroni, check out Negroni Week in Calgary, happening June 6-12, where 28 Calgary bars are featuring the cocktail, and donating sales proceeds to the charity of their choice. It’s a great opportunity to drink for a cause! This twist on a Negroni uses smoky mezcal, which stands up beautifully to the bitter Campari. 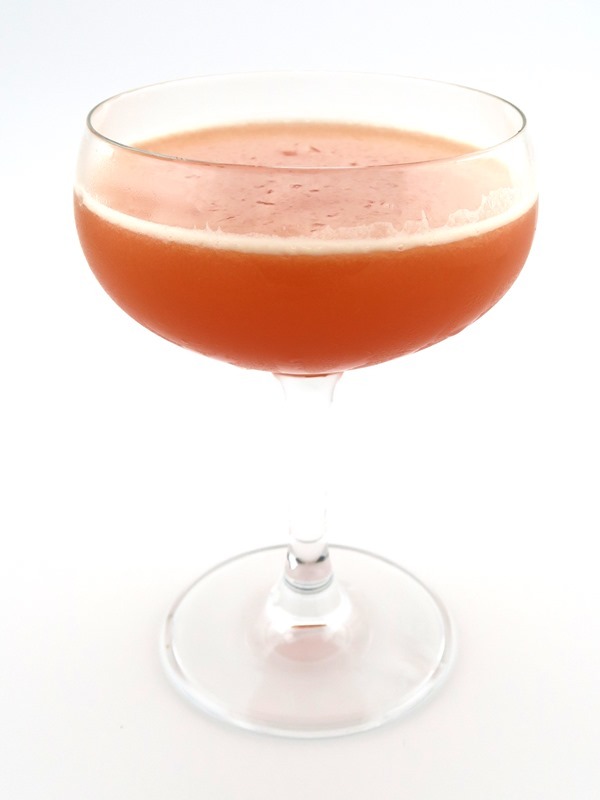 Method: In a mixing glass combine mezcal, Cinzano Rosso, Campari and habanaro simple syrup. Add ice and stir until drink is well chilled. Strain into a rocks glass over a large cube of ice, and garnish with a dried chili pepper. Method: Combine water and sugar in a saucepan and heat until the sugar is dissolved. Add peppers and simmer for up to 10 minutes (periodically check syrup to see how spicy it’s becoming). When desired spiciness is reached, remove from heat and strain out peppers. Store the syrup in the fridge in a sealed container. Description: Tart and slightly bitter. with natural sweetness from the bourbon and maple syrup, this light summer spritz is just the thing for those patio afternoons. Long and fizzy, this twist on an Aperol spritz is delicious. Method: Combine Wild Turkey, Aperol, lemon juice, maple syrup and Angostura bitters in a cocktail shaker. Add ice and shake, then strain into a tall glass filled with ice. Top with about 2 ounces of soda water and garnish with a mint sprig. Description: A float of peated whisky stands up to this robust lager and — along with the salted rim — adds a layer of Scottish intrigue to this beer cocktail, while keeping it light and fresh for summer. Beer cocktails and savoury cocktails like this one are on-trend. The Salted Innis & Gunn Scotch-tail is smoky, salty and refreshing. Pair with peanuts. Method: Salt the rim of a rocks glass with Himalayan sea salt, then add a large sphere of ice. Build the drink in the glass and garnish with a lemon wheel. 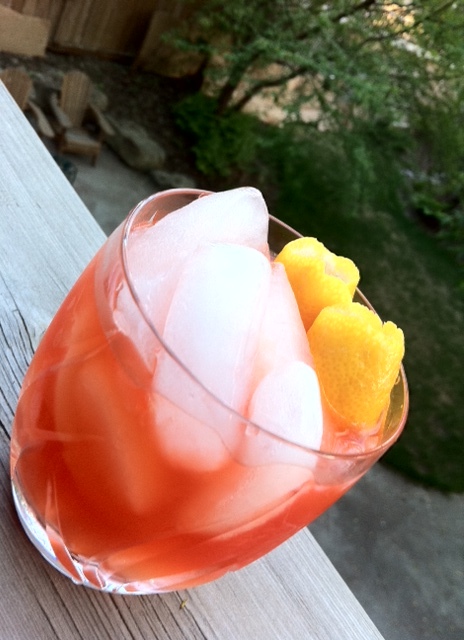 The most popular cocktail post I’ve written is one from September 2012 that features an Aperol Spritz. 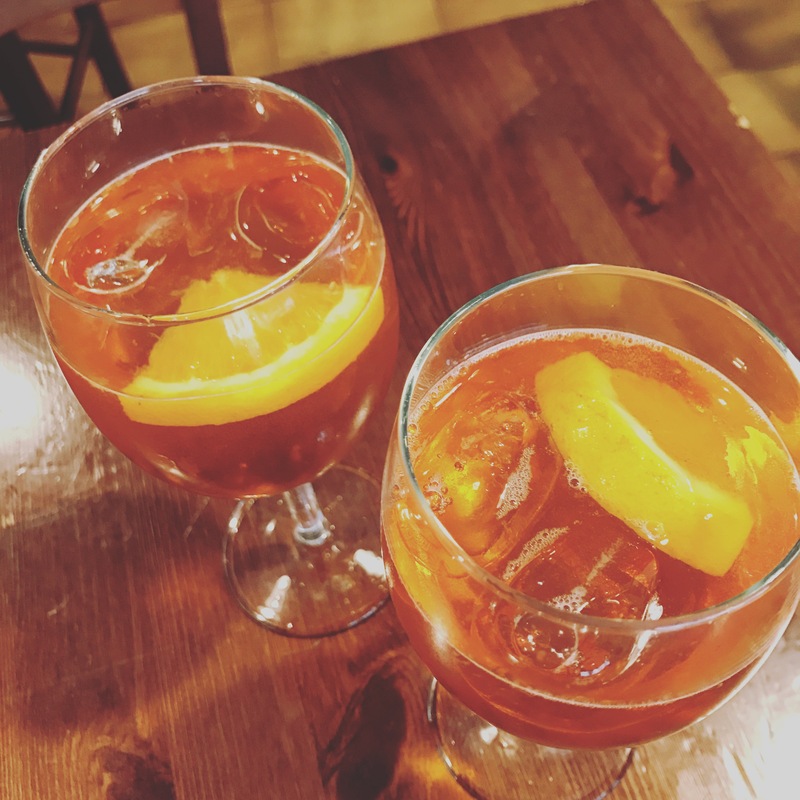 I didn’t know it at the time, but Aperol and other lower-proof spirits and fortified wines, such as sloe gin, Campari, sherry and vermouth, are at the forefront of a new trend: low-alcohol cocktails. I’ve written all about it for this month’s Calgary Herald column, running Saturday. The obvious question becomes: are they any good? Or does mixing drinks with liqueurs and spirits that clock in at lower than 40 percent alcohol by volume render them the near-beer equivalents of the cocktail world? Hardly. I sampled some while doing “research” for my story and they are just as tasty as their boozier brethren. Bonus: you can drink more of them before your evening goes sideways. This gorgeous drink, called a Sophia Loren Shim, only contains the amount of alcohol in one 12-oz beer. 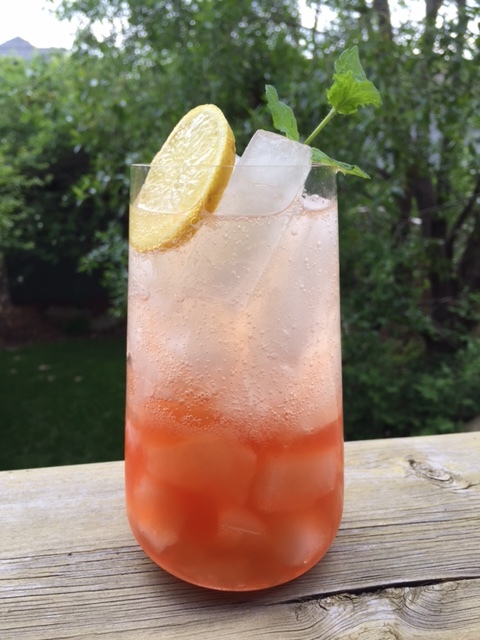 Here’s a tart and delicious one worth trying from Art of the Shim: Low-Alcohol Cocktails to keep you level, by Dinah Sanders. Method: Chill an old fashioned glass. Shake ingredients with ice, then pour without straining into glass. Garnish with two lemon peels rolled together to create a flower.